LEGO Finally Made The Foot Protectors They Should Have Made Ages Ago | OhGizmo! It’s well known that in Hell, you burn for eternity while walking barefoot on LEGOs. It’s in the Bible. 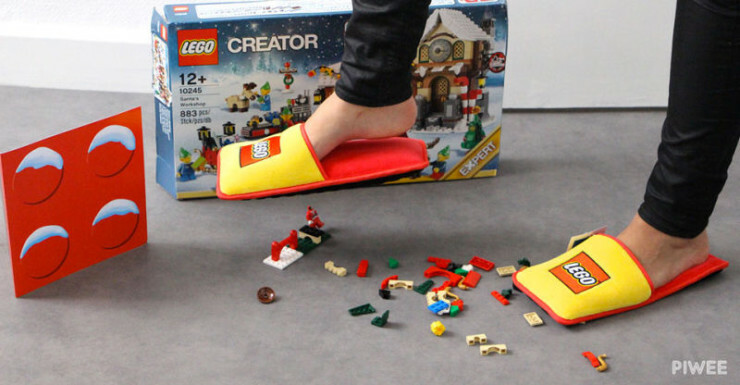 Recognizing this reality, LEGO has finally decided to make things a little bit right by releasing a set of slippers meant to protect your feet from the unmentionable pain of walking on its bricks. Made in collaboration with Brand Station, it’s advertising agency, the slippers are made to look sort of like a brick. They’re part of a limited run of 1,500 only available as a prize in a contest you have to enter here.